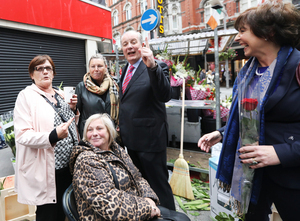 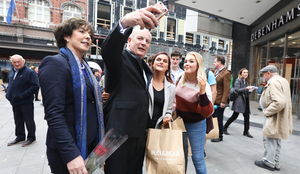 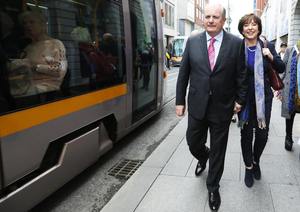 Candidate Gavin Duffy and his wife Orlaith Carmody canvassing on Grafton Street with 21 days left until the Presidential Election. 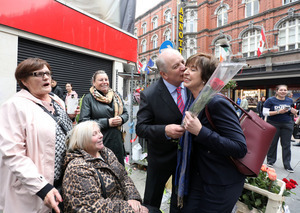 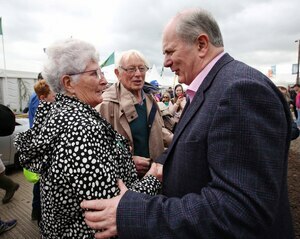 Posted in Misc and tagged Gavin Duffy, Presidency 2018 at 10:36 am on October 5, 2018 by Bodger. 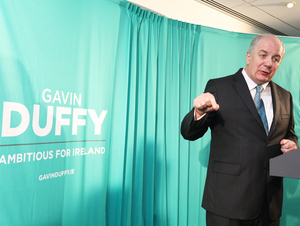 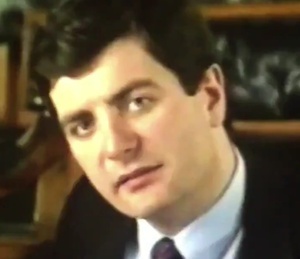 What on earth is he promising people – oh don’t tell me, that he’ll be more transparent with his finances than Miggeldy? 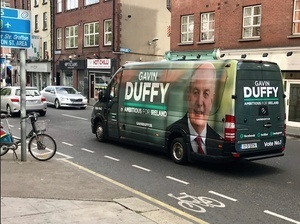 Mickey D never promised any transparency,if you guys crowd fund him 50,000 he’s going give you back 200,000,is the Ponzi scheme chap backing the wrong donkey in this race ?